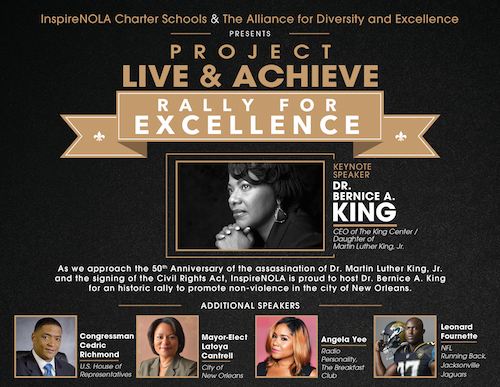 On February 2, 2018, Dr. Bernice King, CEO of The King Center, will keynote the “Project Live & Achieve” Rally for Excellence, where 5,000 students from local schools across the New Orleans area will attend. 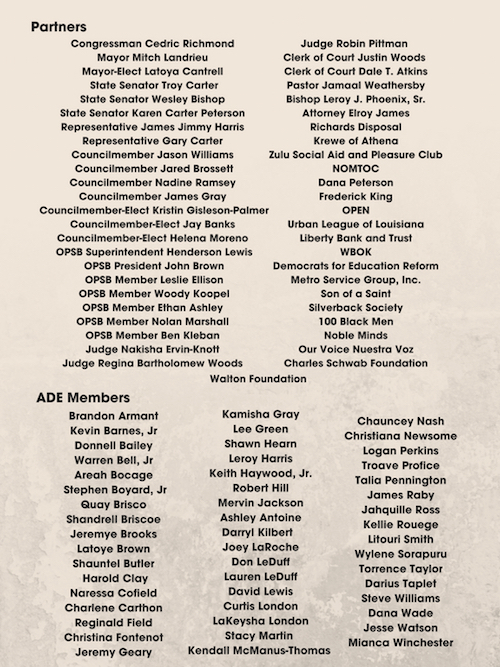 The rally, which is presented by InspireNOLA Charter Schools, The Alliance for Diversity & Excellence and Hyatt Regency New Orleans, will also feature Congressional Black Caucus Chairman and U.S. Representative Cedric Richmond (D-New Orleans), New Orleans Mayor-Elect Latoya Cantrell, Angela Yee of the nationally syndicated radio show “The Breakfast Club,” and Jacksonville Jaguars Running Back Leonard Fournette as speakers who will offer words of hope and motivation to the students in attendance. The “Project Live & Achieve” Rally for Excellence takes place this Friday at 10 a.m. at the Xavier University Convocation Center. For more information, visit the InspireNOLA website here.